An often asked question these days: Do I have social anxiety or am I just shy? This page will give you the answer to that question: Do I have social anxiety? Social anxiety is often mixed up with shyness. 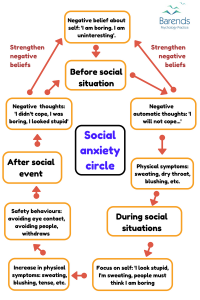 But there are some differences: shyness is a personality trait (social anxiety is not), and shy people don’t experience the negative emotions and feelings that accompany social anxiety. 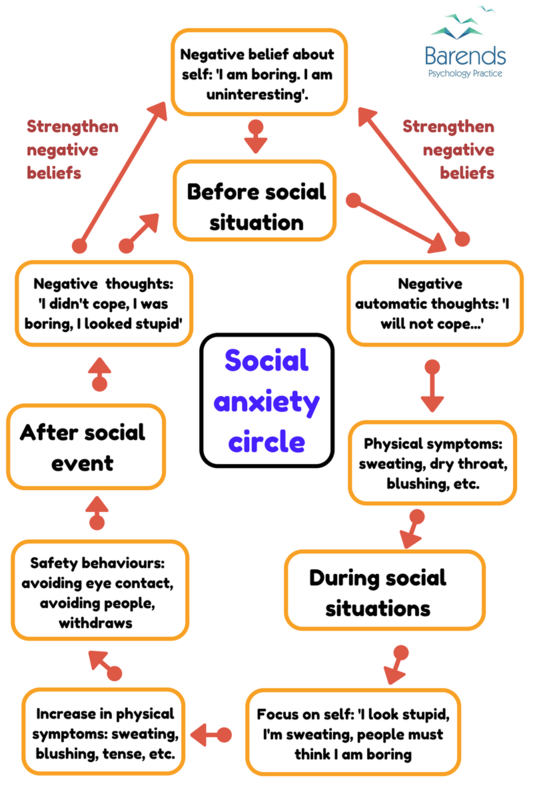 Social anxiety is classified as a significant amount of fear, embarrassment or humiliation in social performance-based situations. This definition may be a little confusing and therefore I created the social anxiety quiz for you. No difficult scientific language, but plain and straight forward questions. You can find the answer to Do I have social anxiety by taking the quiz. Please note that for a definitive answer to of the question do I have social anxiety disorder, you need to make an appointment with a counselor. This quiz only gives you an indication of the severity of your social anxiety and is based on your answers. Thus no rights can be obtained from the results of this quiz. Social anxiety / social phobia. Do I have social anxiety – Quiz! Please read the question and click on the right multiple choice option: Not at all, A little bit, Kind of / quite, Very Much or Excessively. After completing the quiz you’ll get the quiz results immediately. 1. Blushing in front of others bothers me. 2. Social situations or parties scare me. 3. I avoid talking to strangers. 4. I am afraid of authoritarian people. 5. I avoid speaking to people or doing things because I am afraid to embarrass myself. 6. It scares me a lot to be criticised. 7. I avoid going to social events. 8. Sweating in front of others causes me distress. 9. Talking to people I don't know scares me. 10. I avoid becoming the center of attention. 11. I am bothered by a rapid heartbeat when I am around others. 12. I avoid giving speeches. 13. One of my biggest fears is being embarrassed or looking stupid. 14. I always try to avoid being criticised. 15. It distresses me when I am shaking or trembling in front of others. 16. I avoid talking to authoritarian people. 17. Doing things while others may be watching scares me.